When the Denver Broncos and the Dallas Cowboys agreed to contract extensions with Damarius Thomas and Dez Bryant, respectively, both teams locked down an elite, franchise-caliber type of receiver. It wasn’t cheap though; nor as it should be. In a National Football League where the run game has taken the back seat to prolific passing attacks, big, strong wide receivers have become a hot commodity. Quarterbacks have always been in demand, but the transition from high-paid running backs to even higher-paid receivers shows the direction the league’s trending. Take the Dallas Cowboys for example. Last season, they had running back DeMarco Murray, who put up career numbers—1,845 rushing yards on the year and 13 touchdowns—all while being the team’s workhorse. 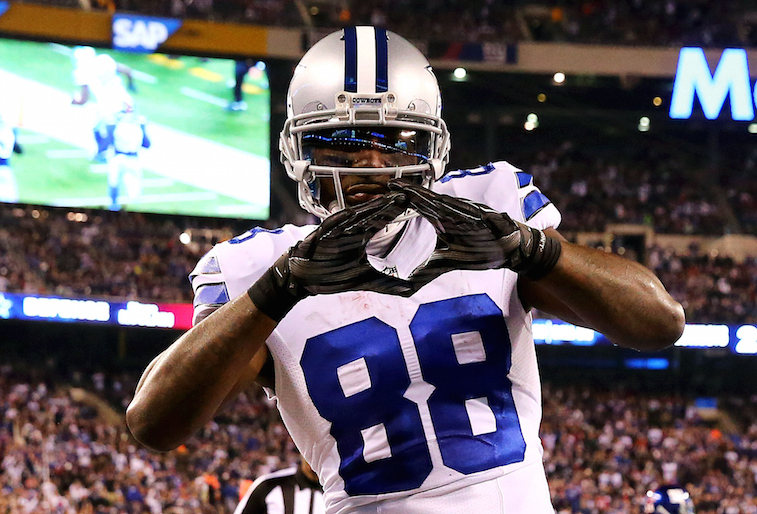 Then again, Dallas also had Dez Bryant, whose 88 receptions, 1,320 receiving yards and 16 touchdowns were also atop the league. 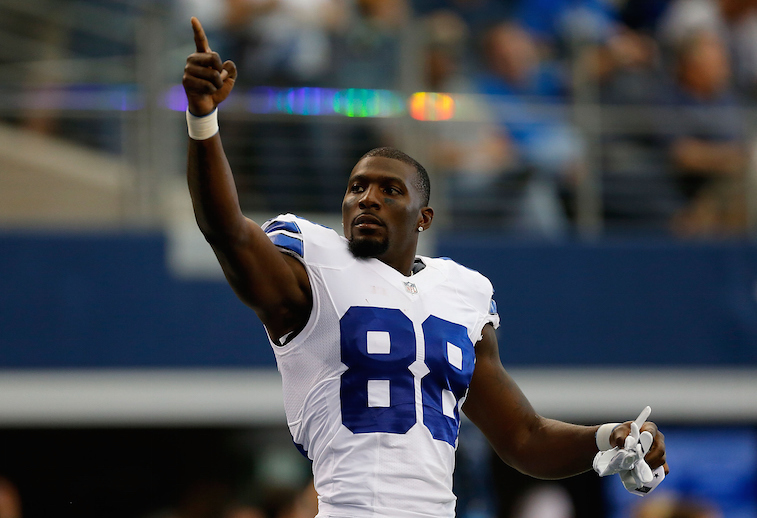 But if you look at the Cowboy’s roster for this upcoming season, you’ll only see one of those players: Dez Bryant. And therein lies the catch; it’s a lot easier to have a rotating backfield without a superstar than it is to not have an elite pass catcher on the outside. As you look at the teams with the best receivers, there’s also a noticeable common denominator; they have the best quarterbacks. John Elway, Denver’s General Manager probably explicitly locked down Thomas to keep Peyton Manning happy. And while some wouldn’t put Tony Romo in the same category as Manning, his numbers are always up there, so it’s a similar situation in Dallas. Though it might seem crazy to see a wide receiver sign a contract extension that will pay them more than some of the league’s average quarterbacks, it shouldn’t be a surprise. When a player’s a physical specimen—the Calvin Johnson’s and Dez Bryant’s of the league—and also a workhorse, that kind of productivity is unmatchable. 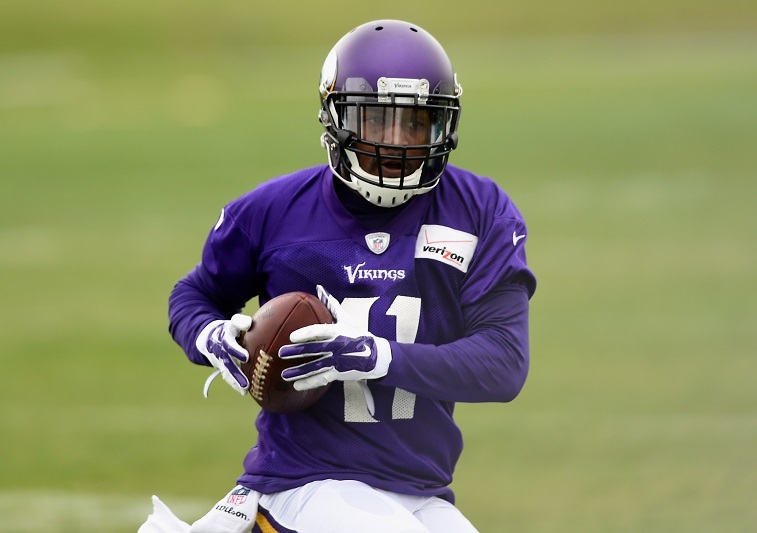 And as the passing game has become more and more important to a team’s success, wide receivers have started to get bigger and bigger contracts. Thus, here are the five biggest wide receiver contracts. Probably one the lesser names on this list, Wallace signed a five-year, $60 million deal with the Miami Dolphins in 2013. Though he has since been traded to the Minnesota Vikings, he still averages $12 million per season. Despite Wallace having a few great seasons with Pittsburgh in 2010 and 2011, he’s dropped off since, thus why his big contract with Miami was a bit surprising. And he struggled with the Dolphins, too—in two seasons before being traded, he failed to notch a season with at least 1,000 yards. His lack of production might also be indicative of Miami’s offensive struggles during this time, but either way, he failed to didn’t live up to the high expectations that came with his massive contract. Similar to Bryant—weirdly similar, as there were questions concerning possible collusion between the Cowboys and Broncos—Thomas signed his extension last week with the Broncos for an identical $70 million over five years, which will pay him roughly $14 million per year. Not too shabby for a guy who’s played in just three full seasons. But in those three seasons, he has been statistically atop the league nearly every time. 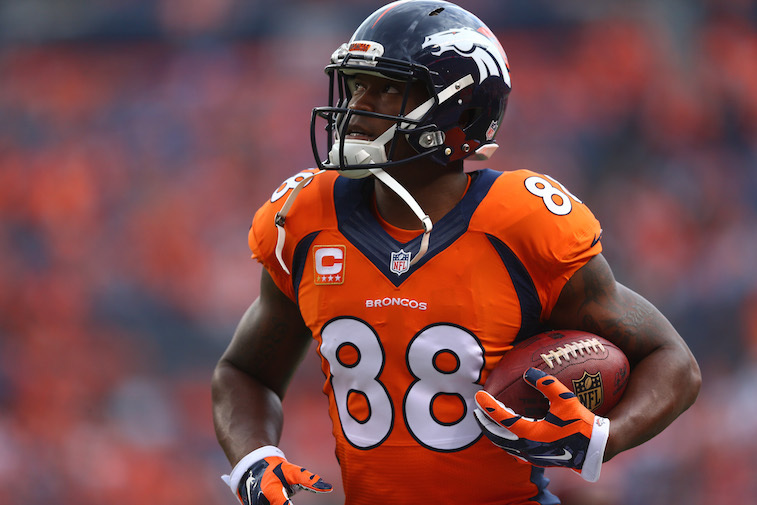 His best one came a year ago when he finished with 1,619 receiving yards and 11 touchdowns. There’s no doubt that catching balls from Peyton Manning helps his cause, but the six-foot-three wide receiver’s strength and ability becomes obvious every time he steps on the field. One of the impetuses behind this article, Bryant signed an extension last week that will pay him $70 million over five years. Considering the amount of money that Detroit had to shell out to lock up Johnson, this seems like a steal…albeit an expensive one at $14 million per year. At 27 years old, Bryant’s in the peak of his career, and it shows. His last three seasons have seen him catch more than 100 balls each, have more than 1,000 receiving yards, and more than ten touchdowns. He and Tony Romo are one of the league’s prolific duos, and Dallas’ commitment to him evidences the future they believe the two has together. 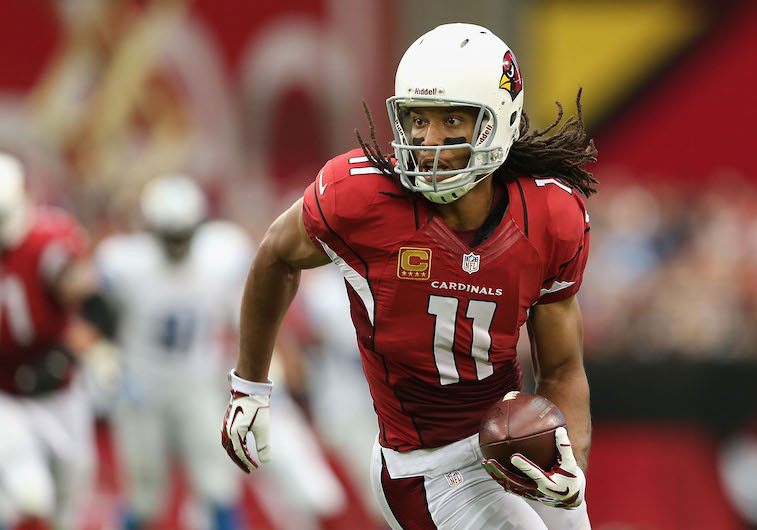 Fitzgerald signed in 2013 with the Arizona Cardinals for $126 million over eight years. Fitzgerald’s contract paid about 15.75 million per year, but he has since restructured it in order to free up more salary cap space for the team. Though he didn’t have to do that, it certainly helped the Cardinals bring in other elite players, which helped them become one of the best teams in football a year ago. Fitzgerald’s also the oldest player on this list at 31 years old. But his career hasn’t been a bit short of impressive, even if it’s fallen off as he’s gotten older. He’s tallied six seasons with more than 1,000 yards, two seasons with 100 or more receptions, and five seasons with more than 10 touchdowns. He’ll definitely go down as the Cardinals greatest receiver, and though he’s not making $15.75 million annually anymore, he deserved it at the time. When the Detroit Lions signed Calvin Johnson to a seven-year, $113 million dollar extension in 2012, it was the richest contract ever for a receiver. That massive total comes to a whopping $18.75 million per year, which not only made him the highest paid receiver ever, but also gave him a bigger salary than most other offensive players. There’s no doubt that Johnson deserved every bit of the money Detroit gave him—even if it seems like a lot of money for one player considering the salary cap. 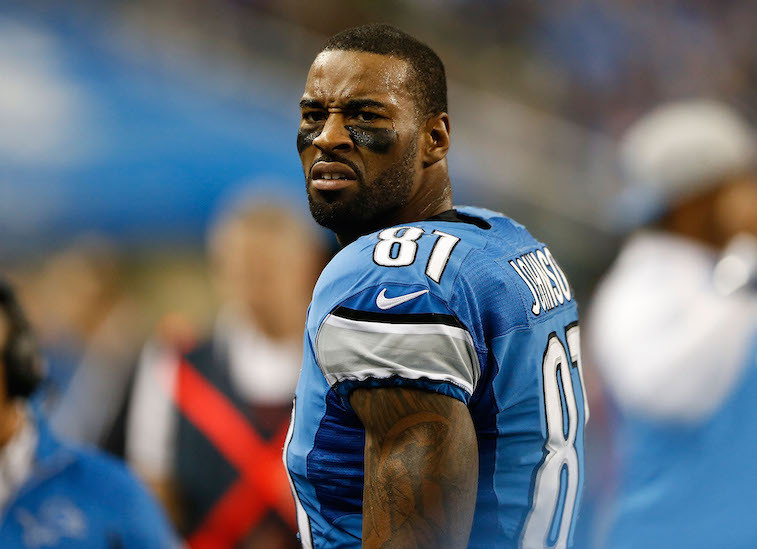 In eight seasons with the Lions, Johnson has had 10,405 receiving yards, 74 touchdowns, and 643 receptions. Not to mention his record-breaking season in 2012, where he broke Jerry Rice’s single-season receiving record with 1,964 yards. But most impressively, and most importantly for the Lions, Johnson has appeared in 119 games and missed just nine. With his talent and his durability, there’s a reason he’s the highest paid receiver ever.